Not a name even most seasoned film buffs know. 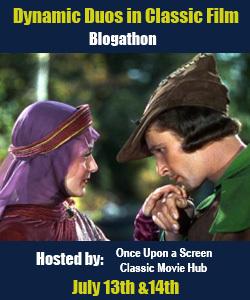 Yet his career in motion pictures spanned the beginning of the teens to the television era, and he directed some of the biggest stars in Hollywood. 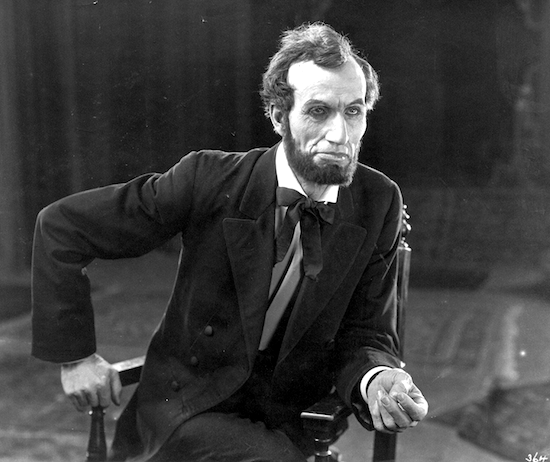 Henabery began his film career working for D.W. Griffith on The Birth of A Nation (1915) in which he also played Abraham Lincoln. Griffith soon elevated him to his assistant on his next feature, Intolerance (1916). Henabery’s ability to direct the many aspects of film production quickly elevated him to director status, guiding Dorothy Gish that same year in Children of the Feud. His abilities were recognized by Douglas Fairbanks, Sr. who hired him to direct him in a series of go-getter features that burnished the star’s brand. These include The Man From the Painted Post (1917), Say Young Fellow (1918) and His Majesty, The American (1919). 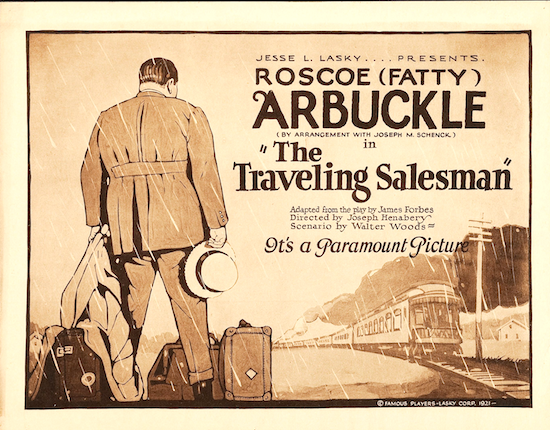 When Roscoe “Fatty” Arbuckle transitioned from two-reel shorts in 1920, Henabery was chosen to direct him. These features called for more nuanced and less broad slapstick than Arbuckle’s shorts, and Henabery was a perfect choice. He directed the comic in The Life of the Party (1920), Brewster’s Millions (1921) and The Traveling Salesman (1921). 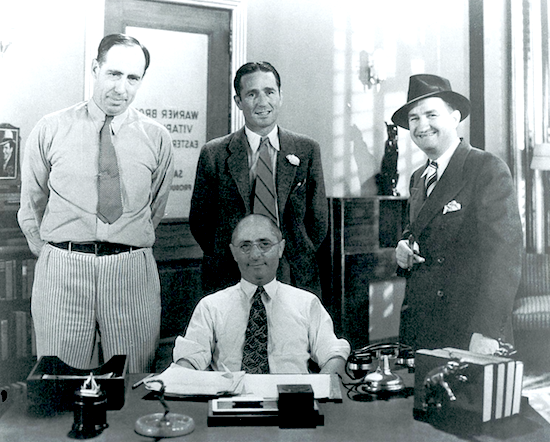 Henabery’s new contract with Paramount in 1921 led to him directing many of that studio’s top stars, including Rudolph Valentino, Jack Holt, Mary Miles Minter, and Richard Dix. In 1923, when Douglas Fairbanks Sr.’s son Douglas Jr. decided to enter films, Henabery was the choice to guide him in Stephen Steps Out (1923). Junior’s father likely had a role in Henabery’s selection. In 1925, Henabery broke with Paramount to direct Valentino’s first independent production, Cobra. The star had an ugly falling out with Paramount and Henabery joining him did not help his career. 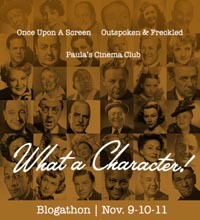 For the balance of the twenties, he directed “B” features for independents and occasionally First National. These were mainly potboilers and comedies. All were well made, and his feature comedy Play Safe (1927) starring Monty Banks is today recognized for its laughs and speed. Some of these efforts were for producer Sam Sax ‘s Gotham Productions. Sax would soon again play a pivotal role in Henabery’s career. With the coming of talkies, directors who had extensive careers in silent had to prove they could successfully adapt to the new medium. Henabery’s first film with sound was a part-talkie, Clear the Decks (1929) starring Universal and starring Reginald Denny. 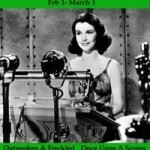 After two more late silent features, he made his first all-talkie feature, starring Leatrice Joy, titled The Love Trader. It was a 48-minute independent for poverty row Pacific Pictures. It would be a year before he returned to directing, but it would be the start of the most prolific part of his career. 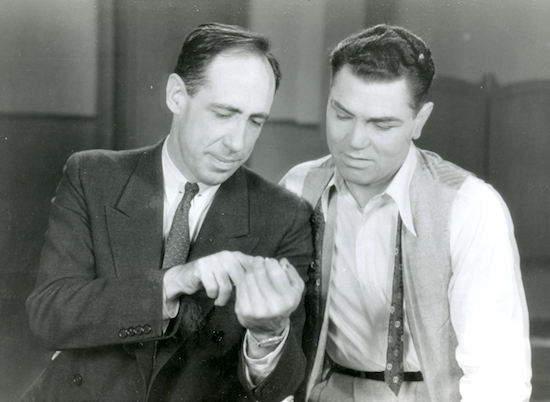 In 1931, Henabery’s old producer at Gotham Productions hired him to join the Vitaphone studios in Brooklyn he now headed. Sax knew the director to be reliable and up to the task of helming a wide genre of shorts efficiently and with style. Henabery needed the job badly and in the midst of the Depression, the $300 weekly salary and the opportunity to get back in harness were welcome. The Brooklyn studio had previously been the silent Vitagraph complex, built in 1907. Modernized and wired for sound in late 1928 to take advantage of nearby vaudeville, radio, Broadway stars, Sax had taken over as the studio head, producing up to 60 one- and two-reel shorts annually. 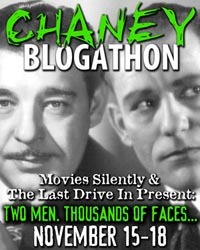 Henabery quickly adapted to the tight and varied operation, starting with a series of nine two-reel S.S. Van Dine two-reel mysteries patterned after the author’s popular Philo Vance detective films. 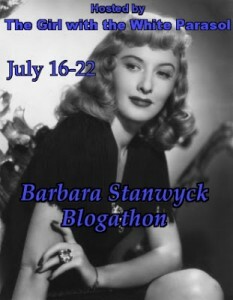 He continued to direct every genre of shorts at the studio through 1939 when the Brooklyn facility closed and shifted all shorts production to Hollywood. He racked up a total of 157 Vitaphones, far more than any other director there. 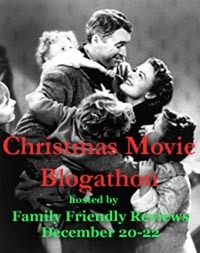 These ran the gamut from one-reel band shorts to two-reel musicals, “Big V” comedies, and the 1938-39 Your True Adventures series starring globetrotting columnist Floyd Gibbons. 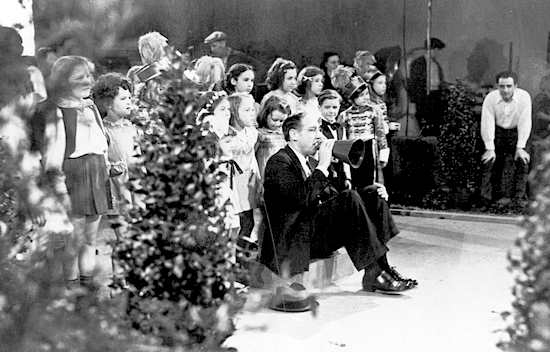 Candid shots of Henabery directing a 1938 Vitaphone “kiddie ” short, Toyland Casino. 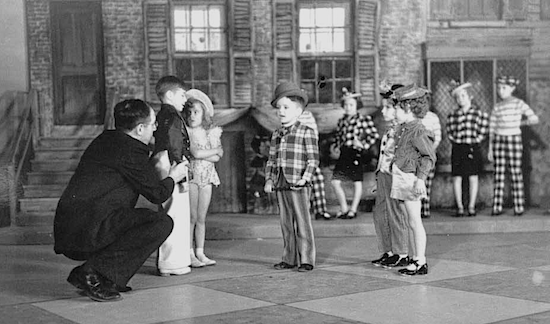 He directed one entry each year from 1935 to 1939, drawing child performers from Manhattan area talent schools. His 1936 Phil Harris two-reel musical Double or Nothing, was nominated for an Academy Award (it lost to Our Gang’s Bored of Education). 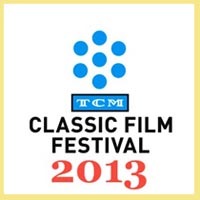 Two reel shorts were normally allocated three-five days of production time, one-reelers two. 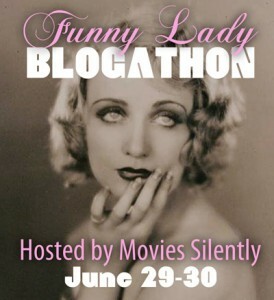 On such a tight schedule Henabery’s peak Vitaphone output was 29 shorts in 1935. 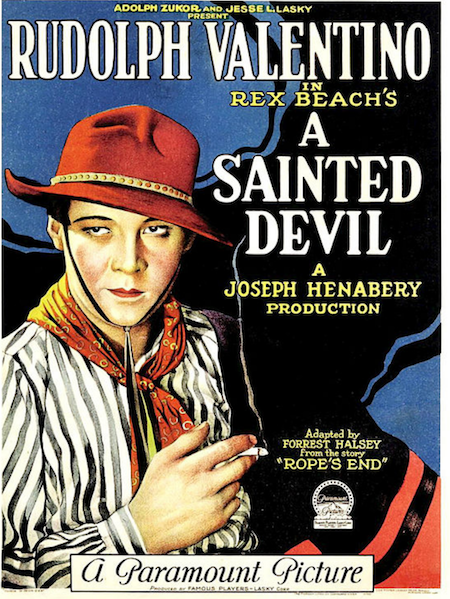 Interestingly, while Roscoe “Fatty” Arbuckle returned to the screen in 1932 at the Brooklyn studio after over a decade’s absence, Henabery did not direct his former star. 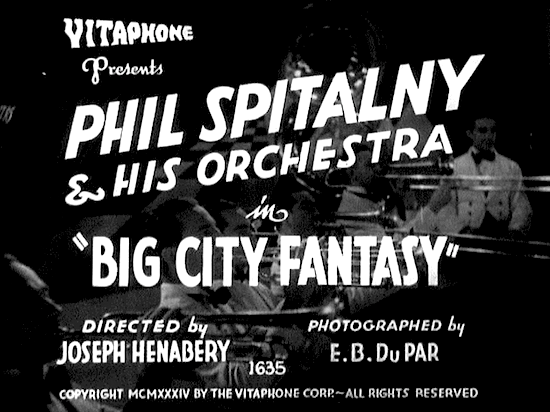 Title card for a Vitaphone short directed by Henabery. He helmed over 150! As the Brooklyn studio was closing in 1939, Sam Sax sent Henabery to England for a new directing opportunity. Warners’ Teddington Studios was producing “quota quickie” features and the plan was to have Henabery start by directing A Max Miller comedy. But his luck quickly soured shortly after his arrival when war broke out and he was stranded in England. Circa 1935 shot of the main Brooklyn Vitaphone studios directors posing in studio head Sam Sax’s office. 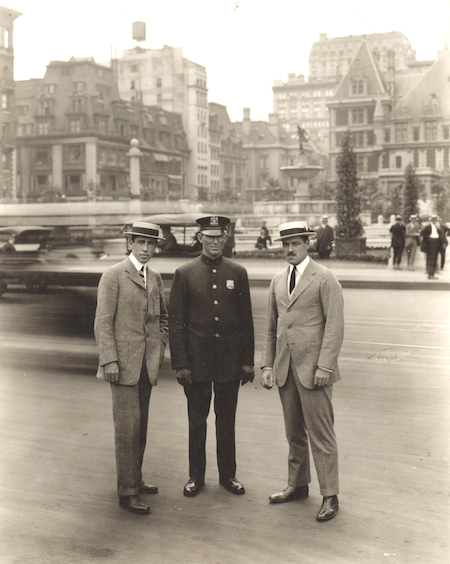 Standing l to r: Joseph Henabery, Lloyd French and Roy Mack. Sam Sax (seated). Despite his pleas, it took Henabery until 1941 to get reimbursed by Warner Bros for his return trip. 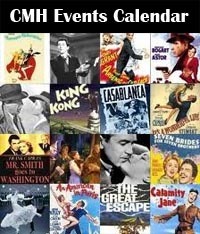 The remainder of his professional life consisted of directing one more feature, the 1943 Hopalong Cassidy entry Leather Burners (with a young Robert Mitchum at the outset of his career) and nearly a decade at the Army Pictorial Center in Astoria, NY. 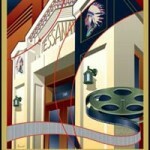 Ironically based in the old Paramount East Coast studios where Henabery occasionally worked during the silent days. 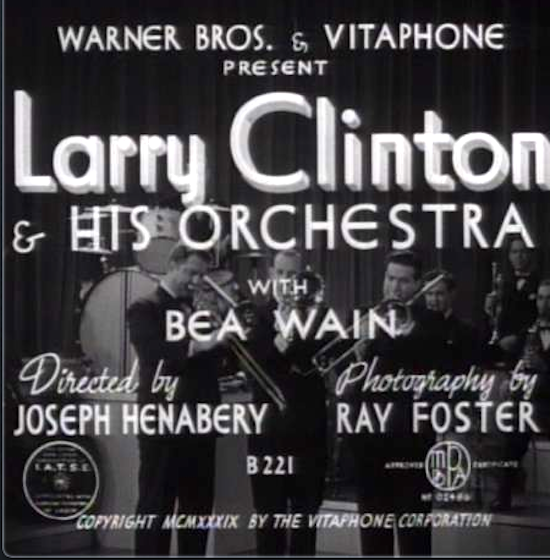 Title card for a Henabery-directed band short with the Larry Clint Orchestra. A gathering in 1939 at the closing of the Brooklyn Vitaphone studios. All short subject production was shifted to Hollywood. 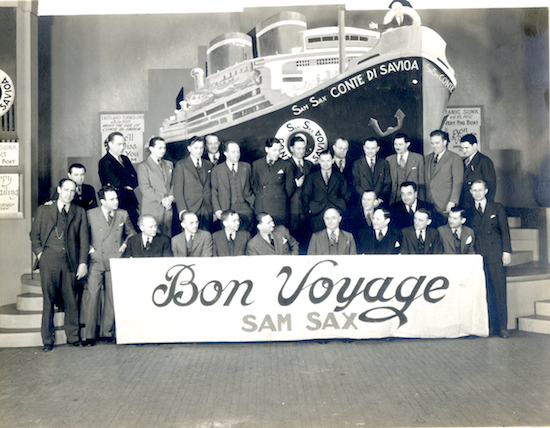 Henabery is standing at far left and Sax is sitting behind the “O” in “Voyage”. So began a two-year series of visits to the City. First Bob took me to his midtown storage locker. 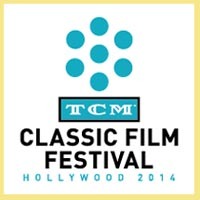 It was packed with over 20 large Rubbermaid bins filled with old scripts, letters from Griffith, Fairbanks, Valentino and others, hundreds of rare production stills, Vitaphone materials —– and over 80 audio cassettes. I learned that before Henabery died in 1976, he had dictated his entire autobiography. Here it sat, untouched and unheard for nearly two decades. 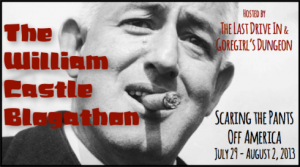 I volunteered to fully catalog each item in this amazing cache covering twentieth-century film history and his role in it. Wanting to have the autobiography see the light of day, I contacted my friend author Anthony Slide who took on getting it transcribed and ultimately published in 1997. After Ron Hutchinson connected with Henabery’s son Robert in 1992, a bin with over 70 audio cassettes were found in his mid-Manhattan storage locker. They contained Joseph Henabery’s dictated complete autobiography. 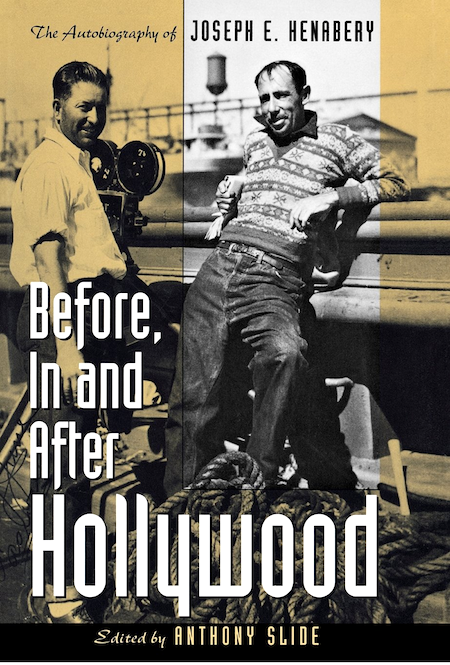 It was later published as Before, In and After Hollywood. Bob wanted the collection to be accessible to the public and fully cataloged. I arranged for it to be donated to the Margaret Herrick Library in Hollywood, where today it is frequently used for research. So the journey that began with wondering who the heck this Joseph Henabery was indeed had a happy ending, much like one of the director’s own films. 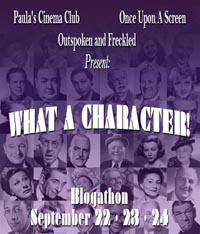 This entry was posted in Posts by Ron Hutchinson, Vitaphone View and tagged Joseph Henabery, The Vitaphone Project, vitaphone. Bookmark the permalink. Joseph Henabery is definitely not a name I’m familiar with, but bless him for making the vitaphone such a big part of movie-going with the films he made.